Natalie represents public and private companies, both domestic and international, in a broad range of general business and finance matters with a focus on mergers and acquisitions, securities law compliance, financing transactions and private equity investments. Natalie represents companies across various industries, including finance, fintech, biotech, energy, manufacturing and design. Additionally, she has unique experience in advising clients on legal and regulatory issues that arise in the cryptocurrency space, in facilitating security token offerings and other token generation events, and in structuring and advising funds that carry out various blockchain projects. Clients also benefit from Natalie's experience in litigating matters arising out of corporate and financial transactions and contractual disputes. Her IP experience includes preparing various intellectual property agreements (including purchases, assignments and licensing agreements), and she has counseled clients regarding selection and maintenance of trademarks, as well as copyright and domain name issues. 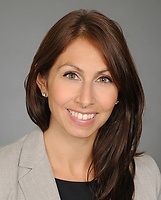 Prior to practicing law, Natalie was a financial consultant with Deloitte LLP in New York, advising national leadership on strategy initiatives, mergers and acquisitions.